If you are concerned about any application we encourage you to familiarise yourself with the information, on the left and below, so that you are informed about the process. It may also help you decide how best to comment to NSC, the Planning Authority that makes decisions based on their Local Plan Core Strategy and Development Management policies. 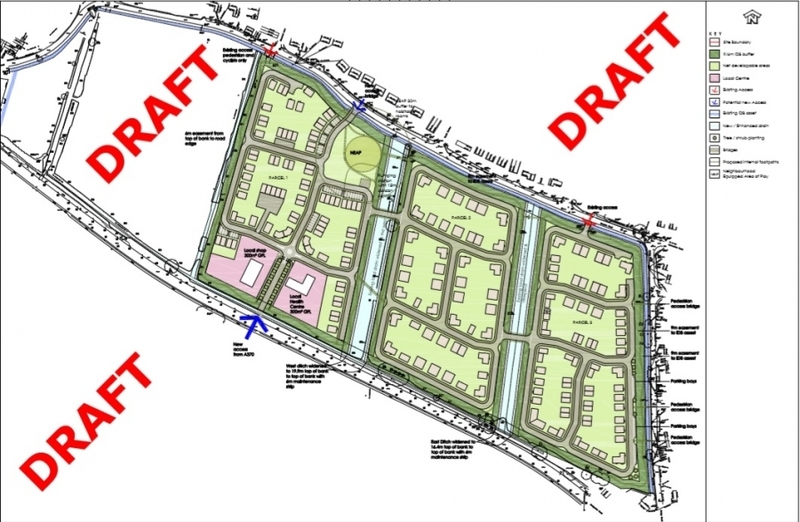 Council UPDATE (11 Feb 2019) (Min 319.7) BPC to "a) to a arrange a public meeting on 6th June (7pm, Coronation Hall) to let residents know the process regarding the Appeal (200 homes off Bleadon Road) and to seek their views in order to craft the Parish Council’s response, and to include documented statements. b) Nominate one councillor to speak at the Appeal on behalf of the parish. c) BAT and BPC to co-ordinate regarding their responses, in order not to duplicate"
Council UPDATE (Jan 2019) (Min 318.10) "The Appeal is in July 2019 and it was AGREED to defer the discussion to a Planning Committee meeting in the near future in order to have time for a full debate. Clerk to arrange". Council UPDATE (10 Dec 2018): (Min 317.9 & 317.10) BPC meet BAT & NSC on 6 Dec. BPC Rule 6 involvement put on hold seeking advice. BAT UPDATE (22 May 2018): BAT public meeting update at the Youth Club. Group renamed to Bleadon Acting Together (BAT). BAT UPDATE (15 May 2018): BAT submit an objection to NSC re: 200 houses application via a professional consultant. 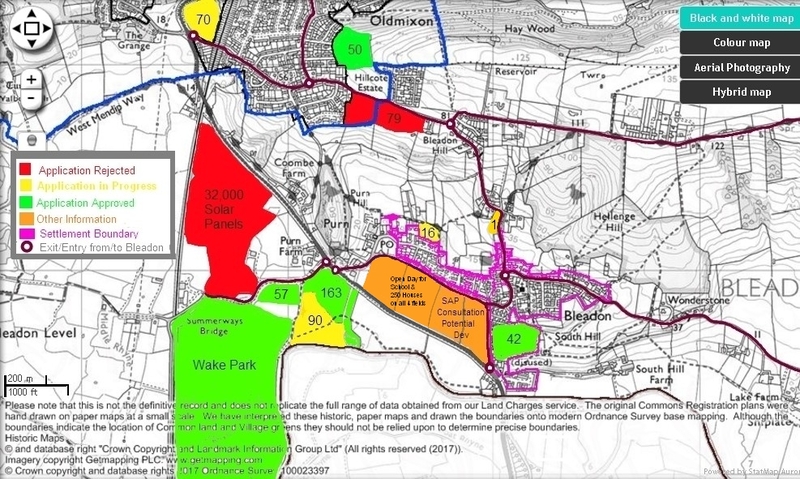 UPDATE (10 April 2018): Outline Application for 200 Houses and other facilities with deadline for comment Thursday 3rd May 2018 Please see blog post and contact BAT for further information if required. If you would like to contact Bleadon Acting Together, or to get more actively involved, then please see the facebook page and/or use the contact form below. As wildlife natural habitats are being constantly threatened, specific or general information about animals and plants may be helpful to defend an application, as they may be protected, rare, or unusual. Environmental information can be submitted either directly to NSC or via a representative group. WHO, WHAT, WHEN, WHERE, WHY of the Bleadon Acting Together Group? The Bleadon Action Group (BAG) was formed in 2017 and met to discuss views and concerns around applications and issues affecting them. A household 'letter drop' was undertaken and a public meeting was held on Tuesday 19th September 2017 at the Coronation Hall. Consequently residents volunteered to participate as a group to further research and discuss housing development issues within our area. The aim of the group is to raise knowledge and awareness within our community, with assistance from residents, and to prepare the public to comment to the Planning Authorities accordingly when required. On 22 May 2018 this group was renamed 'Bleadon Acting Together (BAT)'. On this page there are various links to policy documents and other information that has relevance to potential applications within Bleadon, including the National Government Policies and Strategies that seem to be driving these attacks on our rural identity. Also, housing growth in the wider North Somerset area.